And it's the day of the actual showdown!!!!!!!!! You still following? Yeah I've been sick pretty much the whole time I was in Hong Kong, started from insufficient rest then sore throat then runny nose and now I think it's full-blown Bronchitis. Yucks. Don't like it. Got acquainted with it years ago when I was flying (or was it before), just never thought I'd get it again. It's like you have phlegm and you keep wanting to cough it out but because it's in your windpipe and not in your oesophagus you can't, so all the fluid's just lined along your bronchi. Anyway, back to the girls, will tell u about my sickness another time if it's still worthy of mention. Nicole is goddess. The night after we fixed her outfit, it was already 11:30pm. She still had to DJ at midnight!!! Yes in Hong Kong!!!! WOO!!!!!! DJ NICOLE C. @ WHY Club!!!! A quick lunch, bit of camwhoring, and I'm off to the sisters' room again to see if there's anything else I can help with! They were practicing their catwalk! Eh, this is called "professionalism"!!! Okok enough already let's rock the party!!!!! Had a tap-dancer do the opening number. I think it's so cool to be able to perform a solo! I haven't ever gotten the chance to do a solo dance before! Kinda nerve-wrecking I think. Introducing all our 22 contestants!!! Nicole and Celeste were at the back so can't see. The stage wasn't exactly what you'd call huge, and to have all the contestants up was a bit of a challenge. Nvm, all the better, so the audience will have a bigger surprise later. Australia! Special occasion, and they got outfits to wear to their friend's wedding! India: A Great Night Out. This theme's actually kinda hard for 2 guys to shine! So how did they fare in the end? Eh halfway through they brought their own actress/singer/host to go up and translate for them when they could speak perfect English!!! How is that FAIR huh? No I'm not biased. I honestly think so. The girls doing their speech presentation. To a great night out! The girls getting interviewed while waiting for the results. Celeste and Nicole caught a lot of media's attention, I observed. Like, really a lot of media from other countries came up to interview them! Need to say one meh? To be brutally honest when they announced it my heart dropped. Like "WAH LAO TAI KO!!!!! NOT FAIR SOMEMORE! THEY BROUGHT THEIR OWN EMCEE ONSTAGE LEH! PLUS THEIR CLOTHES NOT NICE LOR!!!!" Ok I was being harsh. Maybe they won on presentation cos they had a PROFESSIONAL emcee who kept prompting them to say more about their outfit and saying things like "I heard you girls bought something and something for a reason?" or something along that line. Then the second announcment "...AND SINGAPORE!!!!!!!!!" HAHA! YES WE DID IT!!!!!! Nicole teared immediately, onstage! It turned out the judges results had a draw, and after further discussion and voting, it was still a draw. 3 rounds of negotiation and discussion and VISA decided to award 2 winners! Thank you VISA for your kind rewards!!!!!! Of course, it's just my guess. ^.^ Who knows right? See? Told you they'd be bombarded. I really didn't get a chance to go anywhere near... -.-"
Cannot get a clear shot cos the girls were so so so so hyper-excitable! Nicole still, Celeste laughing. -.-"
That's Vivian from HKTB (HK), me, Nicole, Celeste, Vivien from HKTB (Singapore), and Wei Ding! Boon Teo the cameraman doesn't want to be in front of the camera so he helped us take pictures. Those are the sisters' parents. Whoa their mother looks so young can! Tube top leh! Super hip! I only have one thing for these parents: thumbs up. I mean, which parents allow their 19-year-old girl to go to clubs and do something that's completely non-mainstream. Blogging is one thing, acting is one thing, but DJing? It's Singapore, mind you. Plus, female DJs are almost unheard of. To let your daughter go and do something she likes, it's commendable. Celeste is doing jewellery design. And I think she'll make a great fashion stylist or designer someday. Watch more of how the day went! 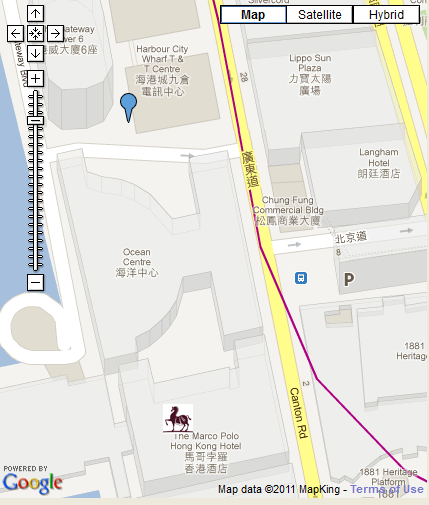 Ok it's joined to Ocean Centre, which is part of Harbour City la (I think). Don't forget, we've one more pretty babe on this trip with us! - Rachell Tan!!!! After the celebratory dinner I decided to bring the girls shopping! Yeah I know. It's like 8:30pm already, but I know my fave haunt closes at 12!!!! Where these girls come from huh? They've never seen a mirror or what? Sorry tourists~ This is what Singaporean BLOGGER CHICKS do!!!! Cos we all think we very chio. Alright talk to you guys soon!